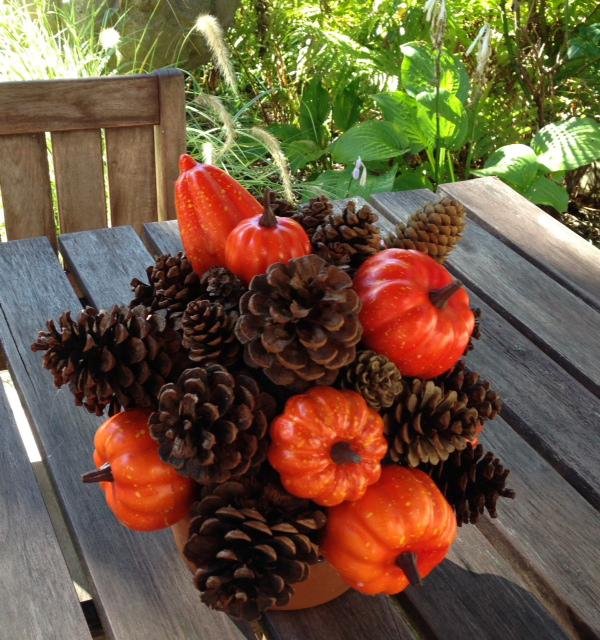 Dead simple and under $10, this centrepiece is a Thanksgiving no-brainer. 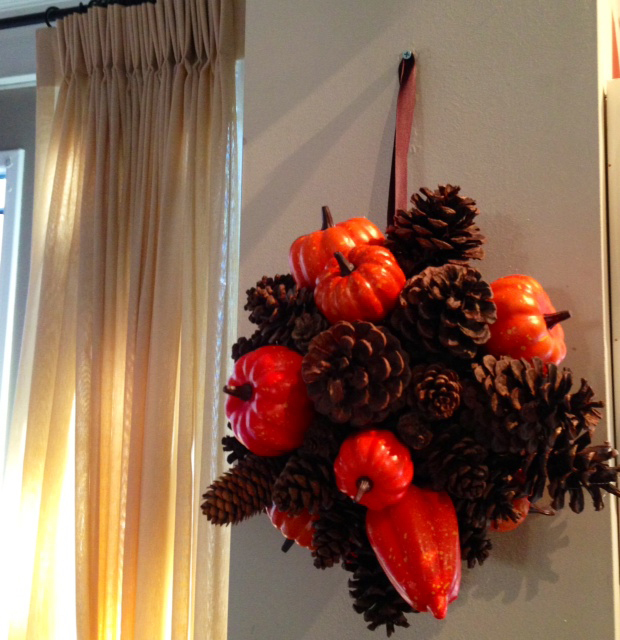 Insert a hook and add a ribbon and it’s wall decor. Say thank you twice! Paint your foam ball brown ( if you leave it unpainted, little glimpses of white will remain visible in your final project and it just does not look that nice so I highly recommend you paint the ball a dark colour (black would do too, but brown is better and will blend in with the colour scheme of the piece). 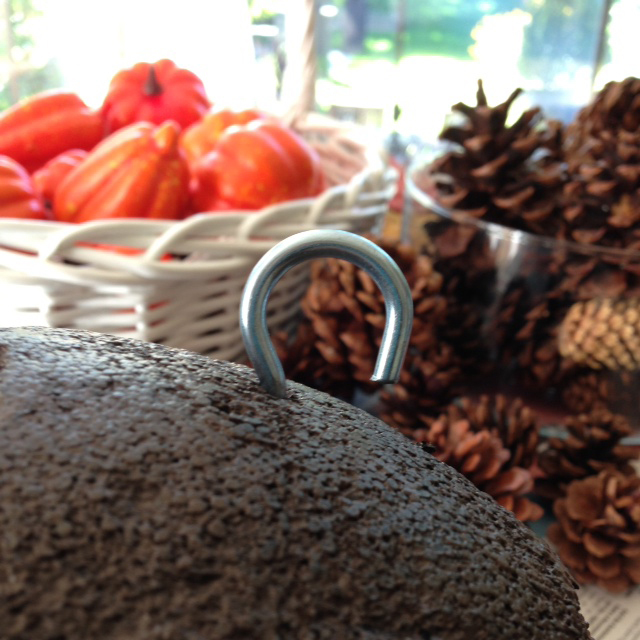 If you plan to use this as a wall piece, insert a hook into your foam ball (any hook will do). 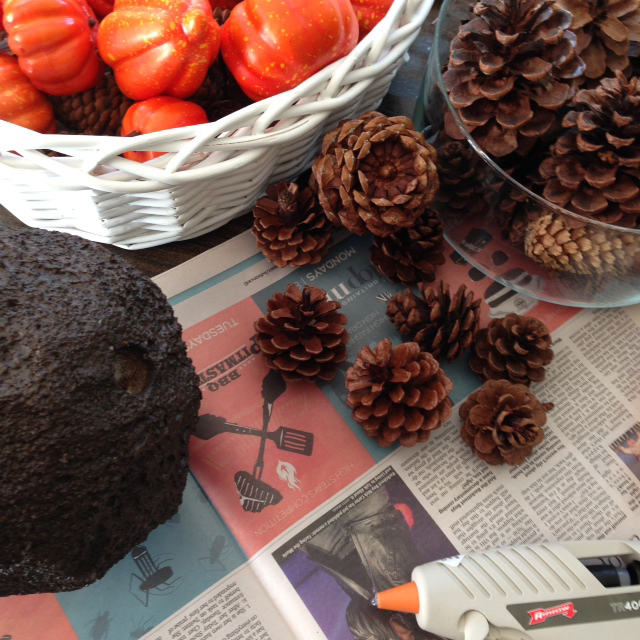 Lay out your materials and tools so you can work fast with the glue gun. 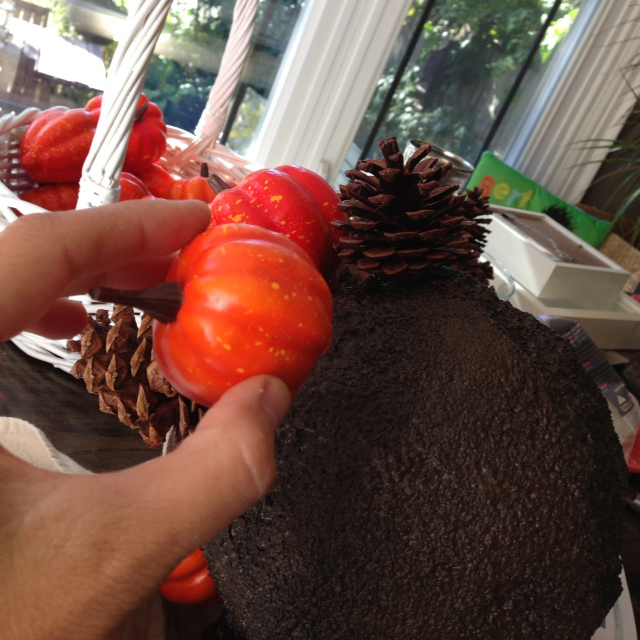 I recommend you create a ring first; alternating pumpkins and pine ones around the ball, creating one “ring”. 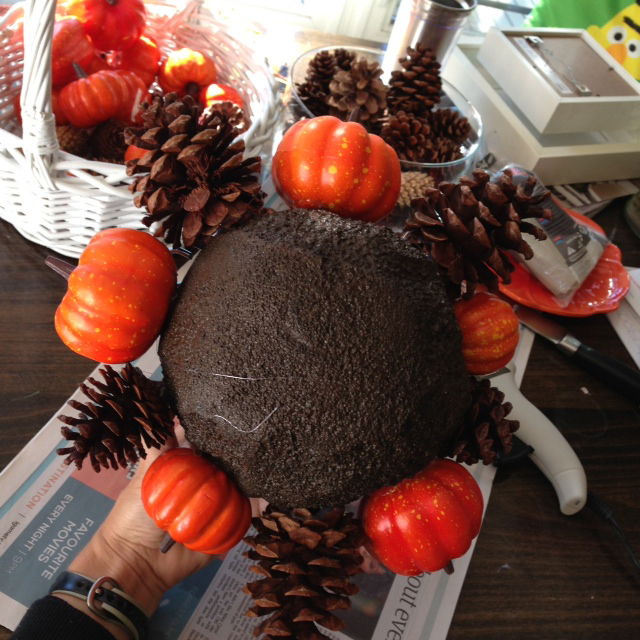 Then fill out the rest of the ball positioning pumpkins and pone cones tightly together. When dry ( within minutes) position ball into the low terracotta pot and voila!